From his days as editor of the BBC’s Question Time to opening up major institutions to very public scrutiny, Simon Ford has been at the forefront of cutting-edge television. He talked to Fergus Byrne about how television programme-making has changed our world, and whether television as we know it and the major institutions involved in it, can survive. 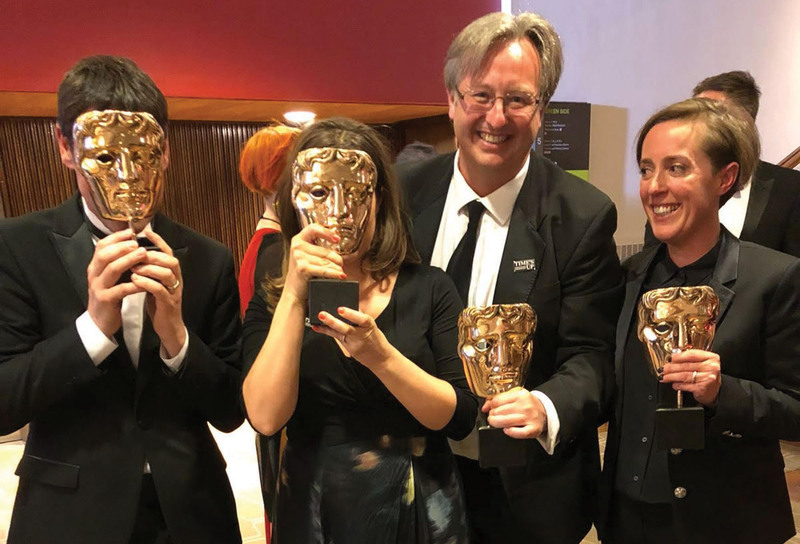 Earlier this year, documentary TV Producer, Simon Ford, brought his third BAFTA home to Broadoak outside Bridport. He first won in 2004 for the undercover investigation The Secret Policeman and next in 2008 with an observational documentary series about life on a London housing estate called The Tower, A Tale of Two Cities. His wife, Ines Cavill, also won a BAFTA for her work on the same series. This year, Simon was nominated twice in the Factual Series category, for the Bristol-focussed films Drugsland and for BBC1’s portrait of the work of paramedics, Ambulance. It was the latter which triumphed. Ambulance and 24 Hours in Police Custody are two programmes where Simon currently works as Executive Producer. Because it’s a job that has various different definitions, depending on the genre and what country programmes are made in, it’s useful to get Simon’s explanation of what his role entails. He explained that, in the case of documentary-making, mainly for television in the UK, it’s like being the editor of a newspaper. ‘You select the stories, determine the tone—I call it the voice, the language or grammar of a documentary. Is it polemical, down to Earth, didactic, popular, funny etc?’ Simon often appoints the crew including the Director, researchers, film editors and composer. ‘Documentary making is an incredibly collective exercise and everyone contributes hugely’ he says. However, the buck stops with him and he is often to be found dealing with legal issues and complaints as well as writing the script. Although he now works freelance, Simon worked at the BBC for many years, initially in news and current affairs, making programmes like Newsnight and Panorama. He was editor of Question Time for a year and ran a series called Rough Justice as well as making many documentary series. Since leaving the BBC he has worked on programmes like Coppers, The Secret History of Our Streets, the film, Being AP, about the champion jockey AP McCoy and has even made some programmes with Jamie Oliver. However, the shows that take most of his time at the moment are Ambulance and 24 Hours in Police Custody. Both of which, he explains, use classic ‘fly on the wall’ techniques, though on a scale that would have been unimaginable just a few years ago. He has always been drawn to stories about crime and criminal justice ‘as they can demonstrate the best and the worst of us but they also offer cracking yarns.’ They remind him of the type of story which you could imagine in another age, being told around a crackling fire to grip and terrify, but also with a strong moral. However, despite the refreshing and tantalising thought that television still has the ability to create change, there is now a very large elephant in the room—in the form of social media. Anyone over fifty, who has lived through a time when the term ‘watching too much television’ was one of the major gripes about children, can’t have failed to notice that television simply doesn’t command the same focus from a younger audience today. Which leads to the big question—what is the future of television? This also means that the style of factual series has had to change. ‘24 Hours in Police Custody is Channel 4’s most successful programme’ explained Simon. ‘It was consciously structured like a drama.’ What that means, however, is that anything that is made without that storytelling quality is not going to be watched—a concept that Simon finds worrying, especially when you consider that news programmes are made in more of a magazine style. According to a recent Ofcom report on news consumption in the UK, TV is still the most-used platform for news by UK adults. However, the internet is the most popular platform among 16-24 year-olds. So, if the programme style doesn’t draw viewers in, ‘people don’t focus and will go and find their own news’ says Simon. And that, to put it mildly, is a whole herd of elephants doing a tango in the room. Because that begs the question—can television, as we once knew it, survive in a world of content-driven through different platforms? According to Ofcom’s Communications Market Report 2018, television viewing is down across all age groups under the age of 65 and those aged 55+ accounted for more than half of all viewing in the UK last year. The report also found that programmes attracting audiences greater than 8 million have halved in the past three years. What if social media companies tried to go into the content business and began to compete with the BBC, ITV, Channel 4 etc for a TV-style viewing audience? Wouldn’t their ability to feed content based on the information they hold about people’s interests mean that they could easily wipe out anyone that doesn’t have that data available to them? The easy answer to the question about the future of television is – we don’t know. Players like Channel 4 have to survive on advertising and programme sales, whereas the BBC at least has the benefit of a licence fee. Simon says that there is always the possibility that huge conglomerates might one day structure an argument that delegitimises the licence fee and if that happened, then the end of the BBC would happen quite quickly. ‘Like any old regime, the collapse is sudden when it happens’ he says. ‘But I think it’s much more likely to be “death by a thousand cuts”. What all broadcasters fear is the inability to pay for the quality.’ And if funding models come under attack and quality is compromised by lack of funds, then perhaps change could be rapid. He points out that every time the government changes, the BBC has to calibrate how it might need to change. ‘The basic principles don’t change’ he says ‘but the BBC feels it has to be responsive.’ He cites all the furore about Brexit and how the BBC took a view post Brexit that “the country has decided” and therefore ‘hasn’t covered the cheating, the Russian money, Cambridge Analytica or any of those things in a way that any journalistic organisation normally would. The Ofcom communications report concluded that last year BBC One still had the highest proportion of respondents claiming it was their most important news source. At a platform level, it suggested, measures of quality, accuracy, trustworthiness and impartiality are strongest among readers of magazines and weakest among users of social media. But it goes on to say that people are also not always fully aware of how much time they spend consuming news online as much of this is processed unconsciously when people are exposed to news stories without realising it. Also, smartphones and social media typically mix news with other types of content, it said, which can sometimes lead to people not being aware they are consuming news. These factors, the report concludes, can lead to people under-estimating their online news consumption. As Simon is aware, social media has changed our viewing habits dramatically and thus contributed to a change in the way that television programmes are made. If consumers carry on demanding quality rather than instant gratification, then the current TV model may have a future. Especially if, as Jeremy Corbyn recently suggested, major tech firms were taxed to contribute to the BBC license fee. But if lines between quality and convenience become as blurred as those between trustworthy and non-trustworthy news sources, then it’s hard to say what might grasp an audience in ten or twenty years’ time.